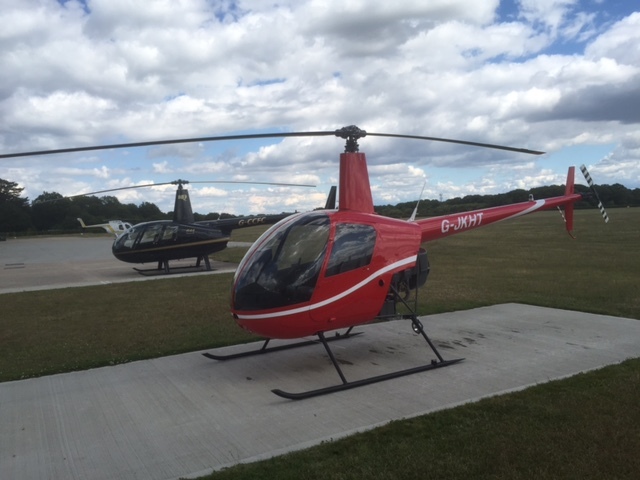 Helicopter Training flight instructor testimonials James Kenwright student's view. 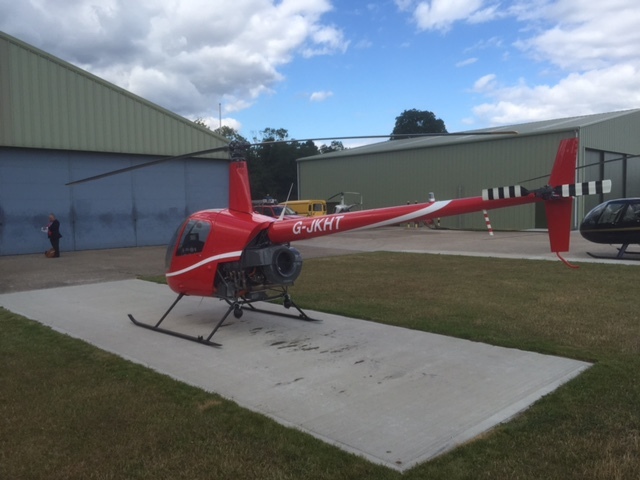 James Kenwright- a student's view of his helicopter training education. James Kenwright is a highly skilled and experienced helicopter pilot, and a remarkable teacher. Learning to fly with him was a privilege. When I embarked on the journey which would take me to my helicopter pilot’s licence, I had no idea how difficult and challenging it would be, as well as one of the most rewarding things I have ever done. Yet I always felt protected and cared for. I embarrassed myself many times at my incompetence and ineptitude as I struggled to master new skills, yet I was never embarrassed or humiliated by my instructor. The feedback was clear, but always encouraging, and founded on a secure base of knowledge and practice. I am indebted to James for his help and generosity at the major transition points of my course: my first solo, and my preparation for the final skills test. I remember James standing on a December airfield as I attempted, and completed, my first solo flight, then taking some photos in the freezing downdraught as a happy memento for me, as I hovered nearby. When I approached my final skills test James’s input was comprehensive and generous. He took time to help me to iron out some of the remaining rough patches as I put together the portfolio of skills necessary to pass, and even at that concluding point in my initial training I learned things of value that I had not previously come across. On the day of my final test, he was in the office very early to ensure that I was prepared and ready for my meeting with the examiner. I should add that, as well as his professional skills, he has a very dry and amusing sense of humour, and is a very interesting guy to talk to. When I was first learning to fly, one of my fellow students told me that James had shown him that helicopter flying could be fun too. I was reminded of this comment when James took me night flying, one November evening. Here’s the piece I wrote afterwards. Thank you James. Well, it was awesome, stupendous. I'm still on a complete high! We took off about 5:40pm. The sky had been cloudy all day, but, as forecast, it cleared by about 5, to show the bright rising Moon. Instead of the usual take off, where we whizz over the ground to pick up speed and then climb, this time we did a 'towering take off', where we go up more or less vertically for 50 feet or so, then push forward to pick up speed. I guess that saves you from having to whizz across the airfield in the dark! We flew south briefly towards Gloucester, then towards the hills to the east of Cheltenham, then over Cheltenham towards our house. We flew in a circle around our house: initially at about 2,000ft then I came down to about 1,500ft on the second pass. I'd put the fairy lights on and we could see them twinkling below, then up the M5 to Tewkesbury and back beside Bredon Hill. The towns were so bright in their orange streetlights, and the unlit bits so dark. Could easily pick up the lights of Cirencester, Worcester, Malvern. I could see the red lights of the Droitwich masts in the distance. Flashing blue light of a police car somewhere in the darkness. There had been racing at the racecourse so the lights there were bright, the roads very busy with departing traffic. The M5, the main roads and the dual carriageways were bright ribbons of light against the darkness. Motorways - so ugly during the day and so glittering at night! And above it all the Moon. The sky was quite bright, but not enough to illuminate the ground. Bredon Hill was very dark. Was impossible to see it, other than a red light above the highest point. Anything unlit was invisible, so you'd need to be very clear where the hills were, and minimum heights, for any serious night flying. Coming back we usually land on the grass at the airfield, but my instructor got us clearance to come in along the main (illuminated) runway. We came back south across Cheltenham, then turned right to line up with the runway. You can only really see it when you're pretty much in line with it. Suddenly it was there, a red outlined rectangle with orange lights along the middle of it, three miles away. I kept my eyes on it whilst also checking my speed and height and drifted down, passing GCHQ, very nicely straight towards it. I hovered along the runway, then followed a taxiway, lit by our landing lights, the rest of the airfield dark all around, back towards the apron outside the hanger for me to land on it. I thought I flew quite nicely. It wasn't as difficult as I thought it might be. I always knew where I was, and my orientation. That was easier really, because you could see the location of all the towns so easily in their bright street lighting. Was really fascinating to look round at the night landscape, with the Moon above. Coming in to land at the main illuminated runway was remarkable, just seeing how the shape of the lighting changed as I got nearer and lower. I've been on a complete high since then! Can't really concentrate on other stuff. Still up there in the bright intensity of it all.